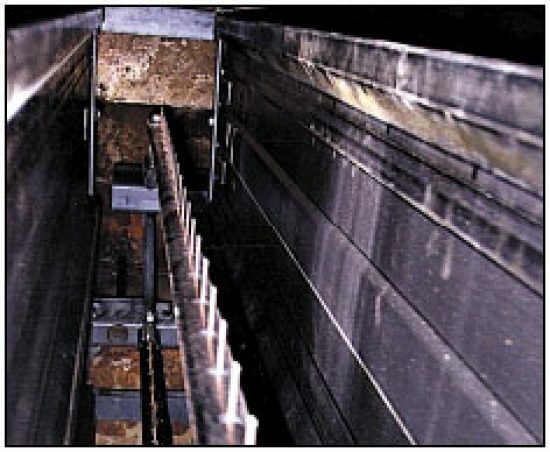 We supply a range of upgraded and replacement parts for your electrostatic precipitator to aid in the performance and reliability of the system. See also our replacement parts section for parts specific to your ESP. Weighted-wire discharge electrode systems can offer very reliable service for many years, but wires eventually fail. Broken wires mean shorted fields and reduced ESP performance. 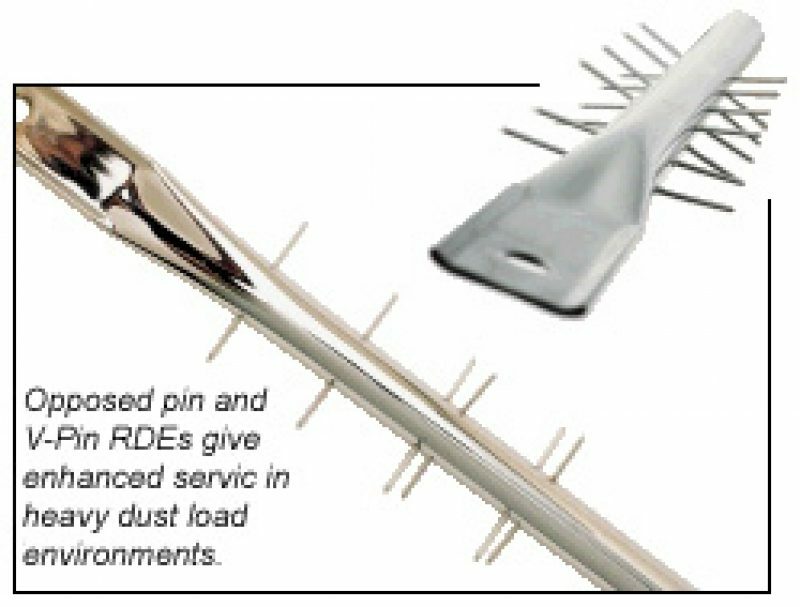 To achieve the highest reliability and extended plant runs, many operators are switching to rigid discharge electrodes (RDEs). Most new precipitators come with RDEs as standard equipment. At TAPC, we design and manufacture our own line of reliable and versatile RDEs, with a wide variety of available emitter pin spacings and configurations, including staggered, opposed and V-pin styles. When an insulator fails in a precipitator, there can be disastrous consequences. Electrical fields can be shorted out, lower guide frames can start swaying, discharge electrode rapping can be lost, or high voltage conductors can contact ground. If a support insulator fails, the high voltage frame in that field can fall. Time is of the essence when an insulator needs to be replaced. We not only stock most common insulators but we also supply 85% alumina versions which have vastly superior strength and electrical properties over standard porcelain. 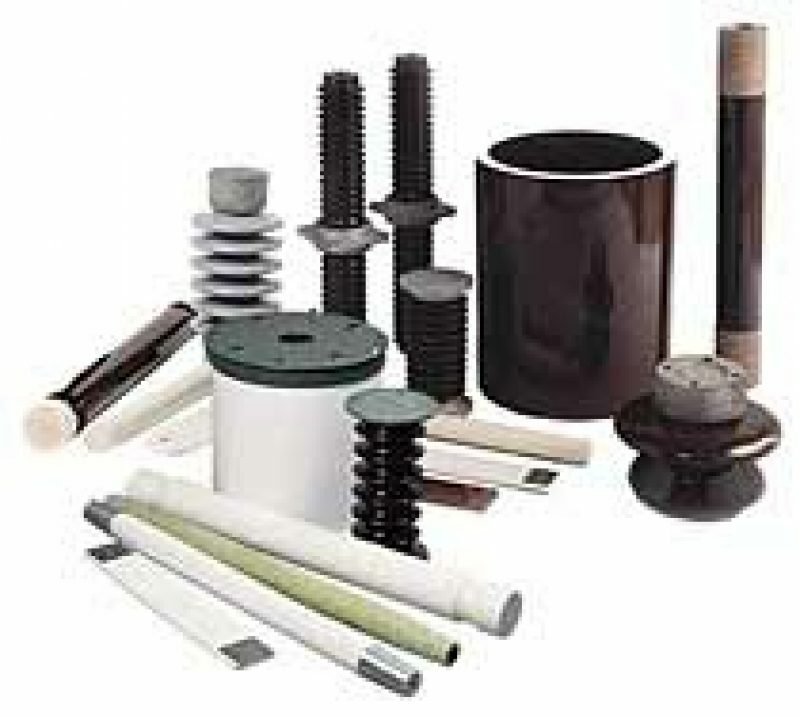 We stock many common insulator shapes and sizes. Contact us today for your insulator needs. Years of experience with inspections, evaluations, troubleshooting and rebuilds of dozens of different precipitator designs have enabled us to develop the toughest, most damage-resistant collecting plates in the market. Patented features, in-house engineering and design, and a dedicated Quality Assurance staff ensure you will receive the most durable, precision made plates available anywhere. 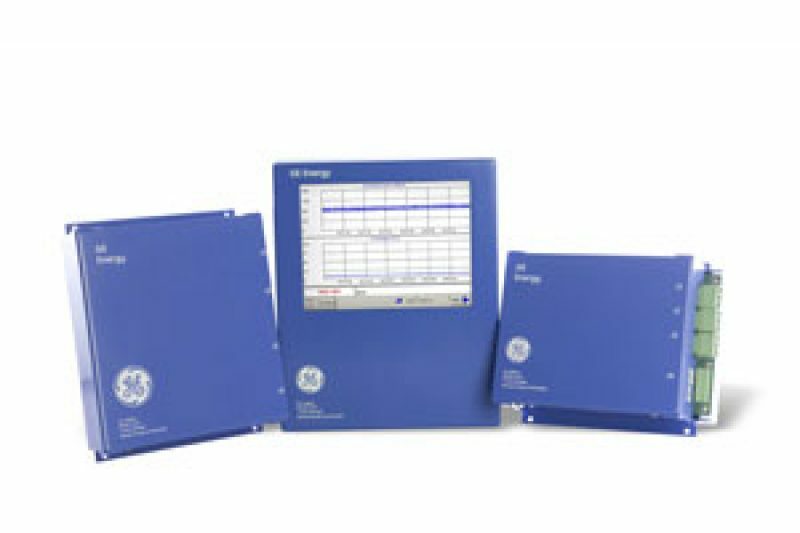 High frequency switched mode power supplies. Through our relationships with the world leaders in these areas, we can dramatically improve the performance of your existing ESP simply through an upgrage in electronics.